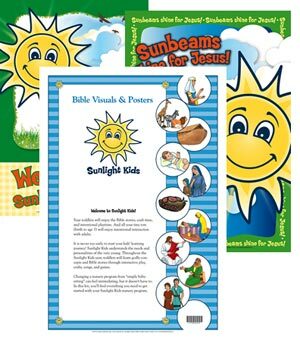 Developed with input from experts in ministry to young children and designed to deliver the message of God's love to the smallest hearts, Sunlight Kids is the perfect way to start your children's spiritual journey. 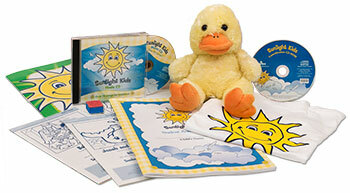 Sunlight Kids offers year-round instruction using the best methods for teaching infants and toddlers. 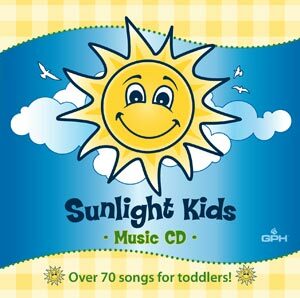 Click here for more Sunlight Kids items. Through the story of Jesus feeding many people with a little boy’s lunch, kids will learn the importance of sharing. 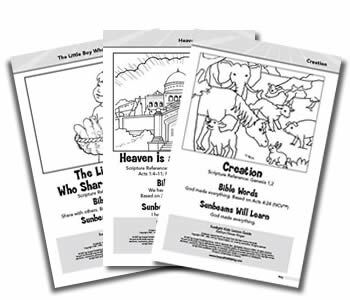 Kids will discover what a wonderful place heaven is as they hear the story of Jesus saying goodbye to His friends when He returns to heaven. 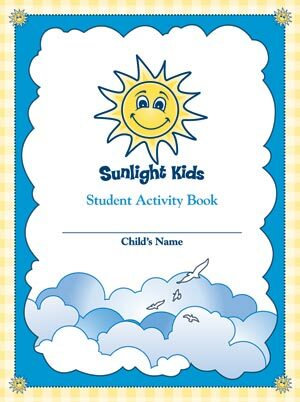 As they see pictures of animals, pretty things, and people, kids will find out that God made everything–even them.